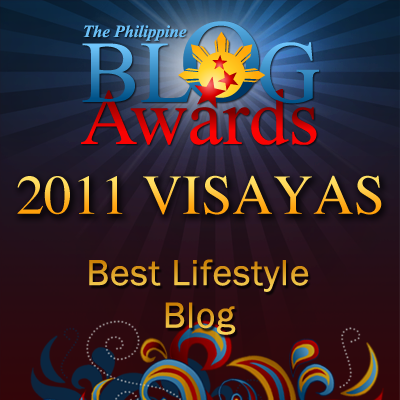 Random Thoughts of Gil Camporazo: Missing You Davy Jones! I'll be missing, Davy Jones of The Monkees, who sang "I Wanna Be Free" which became the top in American single chart of 1967 for seven weeks. And it was my favorite in the late '60s, which I used to sing it with my high school peer group (barkada). 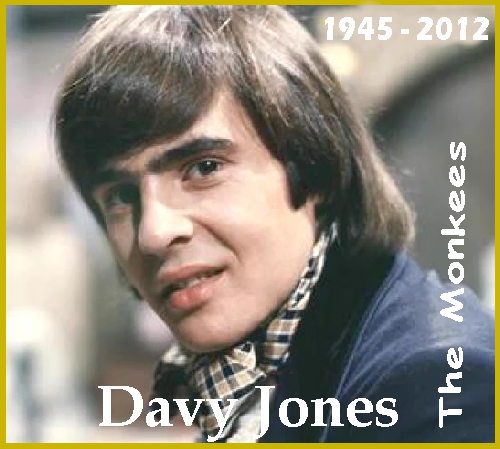 Davy Jones, the lead vocalist of the American pop rock group called The Monkees, passed away on February 29, 2012 of a heart attack at the age of 66. "He has gone on a few short steps ahead/ Faith looks beyond this time of grief and pain/ Love still abides, and we shall meet again." To listen to this song, "I Wanna Be Free", play the player below and sing along by following the lyrics. Again, babe, I gotta say. Davy Jones was the lead vocalist of The Monkees in the '60s. The Monkees is one of my favorite groups of singers along with The Beatles, Herman Hermits, Gary Lewis and the Playboys, The Hollies, among others. I just learned later that Davy Jones was married to three women. First was Linda Haines in 1968 with two daughters: Talia Elizabeth and Sarah Lee. Their marriage ended in 1975. He married another woman, Anita Pollinger in 1981. They got two daughters: Jessica Lillian and Annabel Charlotte. They divorced in 1996. And for the 3rd time, he married Jessica Pacheco in 2009 until his death on February 29, 2012. The songs which I like most aside from "I Wanna Be Free" is Daydream Believer. Other songs which became popular in our time were "Last Train to Clarksville", their first single released in August 1966, "I'm a Believer", "(I'm Not Your) Steppin' Stone", "A Little Bit Me, a Little Bit You", "PLeasant Valley Sunday" and "Daydream Believer". 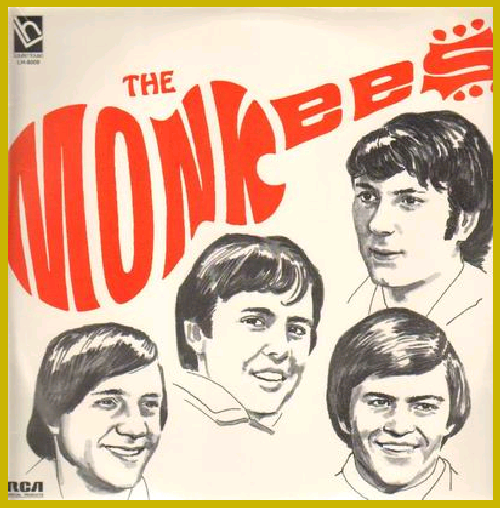 The Monkees were an American pop rock group which is composed of Micky Dolenz, Michael Nesmith, Peter Tork, and Davy Jones, Englishman. They were popular in 1966 to 1968. Their TV show was discontinued in 1968. But the band continued to record music till 1970. David Jones started his public exposure as an actor when he was till a kid. As a musician, he leads the vocal, plays the tambourine, guitar and drum kit in the group. My deepest sympathy and condolence to his surviving spouse and family.